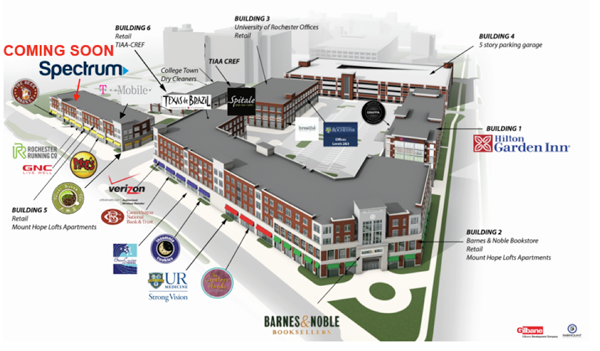 ROCHESTER, NY – Cushman & Wakefield Pyramid Brokerage Company of Rochester is pleased to announce the forthcoming opening of Spectrum at College Town. Spectrum will be occupying a storefront in Building 5 between the Beer Market and Rochester Running Company, fronting on Mt. Hope Avenue. Grand opening celebration & event details will be released when available. C&W Pyramid Brokerage Company Team of John Manilla, Christopher Giunta and Morgan Todd represented the landlord in this transaction.